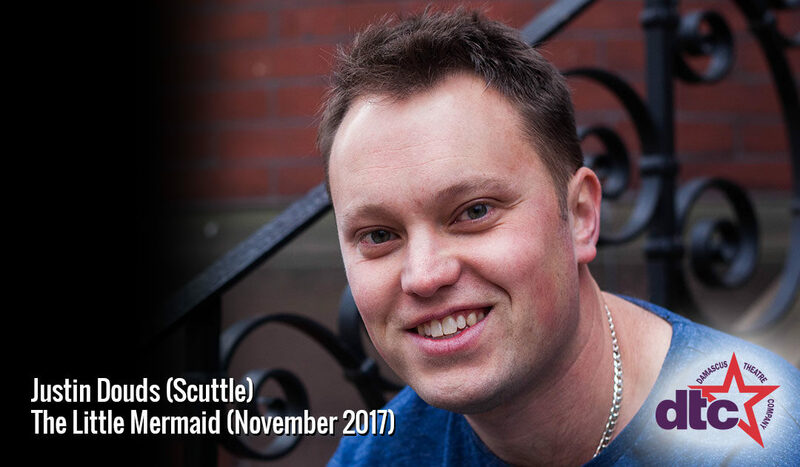 Justin Douds will play Scuttle (the Gull) in the Damascus Theatre Company’s Production of Disney’s The Little Mermaid which will run from November 10-19, 2017. 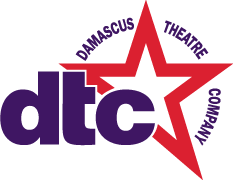 Get your tickets at Damascustheatre.org today! Justin talked about auditioning for the show because of his love of DTC and the people involved, and the fact that he hadn’t done a show in seven months (which seemed like a really long time!). And while he came late to the game of acting, he has truly caught the bug. One thing that stands out to me about Scuttle is that he is very protective, whether it is of his “gulls” or of Ariel. He understands that she is interested in the human world, and he sees himself as her ambassador to that world. He gets a few human terms wrong here and there, but his confidence and kind spirit prove to be very helpful to Ariel in her quest to get the prince. His future acting goals are to continue expanding his comfort zone and his skill set. When he started with DTC he knew that he could sing, but lacked the confidence in acting and dancing ability. Justin won an episode of America’s Funniest Home Videos back in 1991. Looks like Scuttle is as famous in his previous life!